Two heat-related deaths have occurred in San Jose since the start of the current heat wave, Santa Clara County officials said Wednesday. The county coroner confirmed the deaths were caused by hyperthermia Monday, and a third death was confirmed Tuesday. The victims were identified as 72-year-old Dennis Young and 87-year-old Setsu Jordan. A third person's death was confirmed Tuesday, but the Santa Clara County coroner has not yet specified whether it was caused by the heat. "It is tragic when someone dies of hyperthermia since in most every case it could have been prevented," said Dr. Michelle Jorden, of the county Medical Examiner-Coroner’s Office. "Hyperthermia and heat stress happen when a body’s heat-regulation system cannot handle the heat. It can happen to anyone, which it is why it is so important to be in a cool location, drink plenty of water and take a cool bath or shower if you are getting too hot." A National Weather Service excessive heat warning is in effect until 9 p.m. Thursday. High temperatures are forecast to range from 90 to 100 degrees across most of Santa Clara County, with hotter temperatures possible, forecasters said. 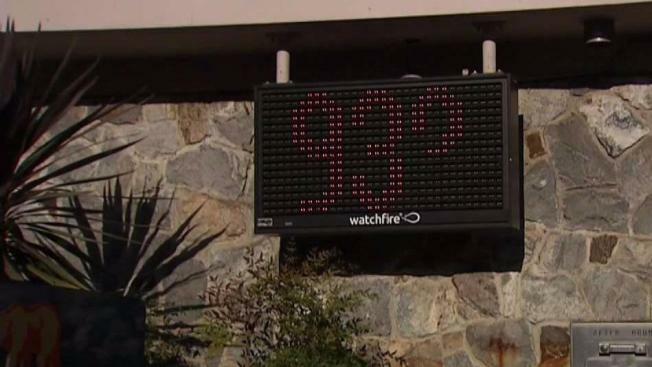 Three heat-related deaths have occurred in San Jose since the start of the current heat wave, Santa Clara County officials said in a news release Wednesday. Michelle Roberts reports. For a list of Cooling Centers and information on heat-related illnesses and prevention, visit the County of Santa Clara Office of Emergency Services website or call 211.